Woody Allen may be 80 years old, but the prolific auteur shows no signs of slowing down. The four-time Oscar-winning director, whose romantic dramedy “Café Society” opens in theaters on Friday, fully plans to keep up his pace of making one film per year, according to Allen’s long-time producer (and real-life sister) Letty Aronson. “Café Society,” set in the 1930s, follows the bicoastal adventures of Bobby Dorfman, played by a Woody Allen-esque young man (Jesse Eisenberg) who hopes to break into Hollywood with the help of his uncle, a high-power agent played by Steve Carell. Both men find themselves in a love triangle with a young agency assistant (Kristen Stewart). The heart of the story shifts back to the East Coast when Bobby moves back to help his brother (Corey Stoll) run a swanky night club. The film has been receiving warm reviews ever since it debuted at Cannes in May, with a current Rotten Tomatoes score of 77 percent. Like many Allen films, it features an ensemble cast of actors also including Blake Lively, Parker Posey, and a blink-and-you’ll-miss-it appearance by Sheryl Lee. It just so happens he sounds a lot like Allen. 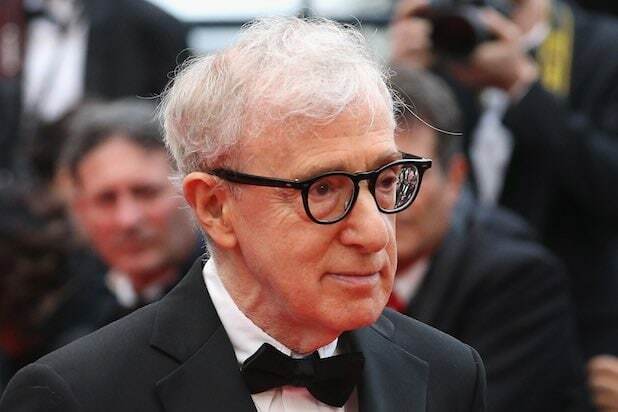 “Of course, if this had been so many years ago, it would have been a part Woody would have played,” said co-producer Edward Walson, who collaborates frequently with both Allen and Aronson. “Café Society” represents another first for Allen: It’s his only feature so far that hasn’t been shot on physical film. Yes, Woody Allen has gone digital. And he did it right, working with three-time Oscar-winning cinematographer Vittorio Storaro (“Apocalypse Now”) to achieve the movie’s gorgeous shots and camera movements. “It was a great first-time collaboration for both of them,” Walson said. Even as he finishes editing on the Amazon TV series, he has begun prepping his next feature — which will star Kate Winslet, Jim Belushi, Justin Timberlake and Juno Temple.